“Sherlock” is an entertaining BBC series. Season 4 premier of the series will be a climax. Steven Moffat will work together with his colleague Mark Gatiss. The aim of the two “Sherlock” writers is to ensure that season 4 maintains the entertainment appeal of “Sherlock” series to the audience. John Watson has white hair. The poster of “Sherlock Season 4” clearly depicts the new image of John Watson. The white hair may be because of the increased fatherhood duties. Alternatively, John Watson white hair may be due to his increased engagements with the two film villains, James Moriarty and Culverton Smith. The promotional release attracted huge audience attention because of the aged look of John Watson. Heat World explains that the “Abominable Bride” series illustrate concerns about the mental state of Holmes during “Sherlock Season 4.” Heat World points out that the BBC series special, “Abominable Bride” left doubts about the mental stability with which Holmes will go into “Sherlock Season 4.” Having James Moriarty toy with Sherlock Holmes’ sanity explains well why Benedict Cumberbatch told Collider that his arch nemesis continues to terrify his BBC series character. Sherlock posted the first official picture of the BBC series in his twitter handle @Sherlock221B. 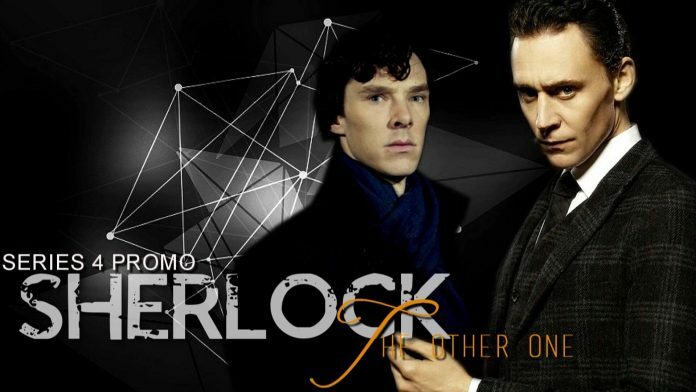 The picture shows Sherlock and John. Benedict Cumberbatch illustrates that Sherlock Holmes was scared of challenging James Moriarty. Benedict Cumberbatch explained that being pitted against James Moriarty scarred Sherlock Holmes. As “Sherlock Season 4” unfolds, fans of the BBC series will realize the depth of the fear of James Moriarty that lives on in Holmes. Here’s the season 4 Episode 1 promo for Sherlock’s premiere scheduled in January. “Sherlock Season 4” will be aired by the BBC in January 2017, we suggest that you plan in advance and clear up your schedules for the premiere!